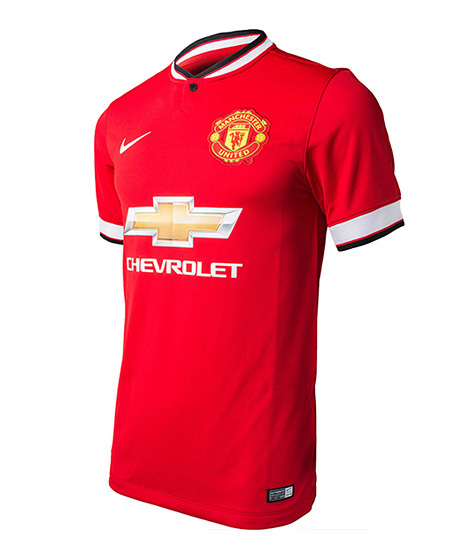 The image of the soon to be released Manchester United 2014/15 season home kit, made by Nike and sponsored by the American auto-maker Chevrolet, has leaked online. Manchester United shirt sponsorship deal with the insurance group AoN ended last season and the club has recently signed a new contract with Chevrolet, worth in the area of £53 million per year for the next seven seasons. What do you think of the new kit?